In all but Tanenbaum's last five novels, he credits Michael Gruber, his cousin, as a collaborator, and Gruber is generally viewed as being Tanenbaum's "ghost writer." Wendy Walker and Espey Jackson are acknowledged in Malice. One of the country’s most respected attorneys, Robert K. Tanenbaum has well-earned the sentiment. As a trial lawyer, Robert has never lost a felony case. Although best known in his writing career for his legal thrillers, Echoes of my Soul is Robert’s third non-fiction book. Echoes of my Soul covers the 1963 case of the “Career Girl” murders of Janice Wylie and Emily Hoffert in New York City. Please note the 4:00 PM event time. Robert K Tanenbaum signs Capture. Robert K. Tanenbaum , Escape. Robert K. Tanenbaum promotes Escape. 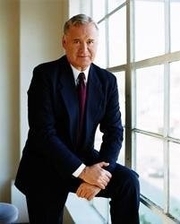 Robert K. Tanenbaum is one of the country’s most successful trial lawyers - he has never lost a felony case and is the USA Today and New York Times best-selling author of eighteen novels, to numerous to mention. Robert K. Tanenbaum is currently considered a "single author." If one or more works are by a distinct, homonymous authors, go ahead and split the author. Robert K. Tanenbaum is composed of 7 names. You can examine and separate out names.